Now updated with the latest scientific research to explain the fabulous female brain plus an all-new chapter that shows how to decode her most baffling behavior, For Men Only is your roadmap to making her happy. And now there is a new companion video study great for mentoring engaged couples, a men’s group or just for individual use. Shaunti and Jeff Feldhahn are popular speakers and bestselling authors whose research findings are regularly featured in national media as diverse as Focus on the Family, FamilyLife Today, the New York Times, and the Today Show. 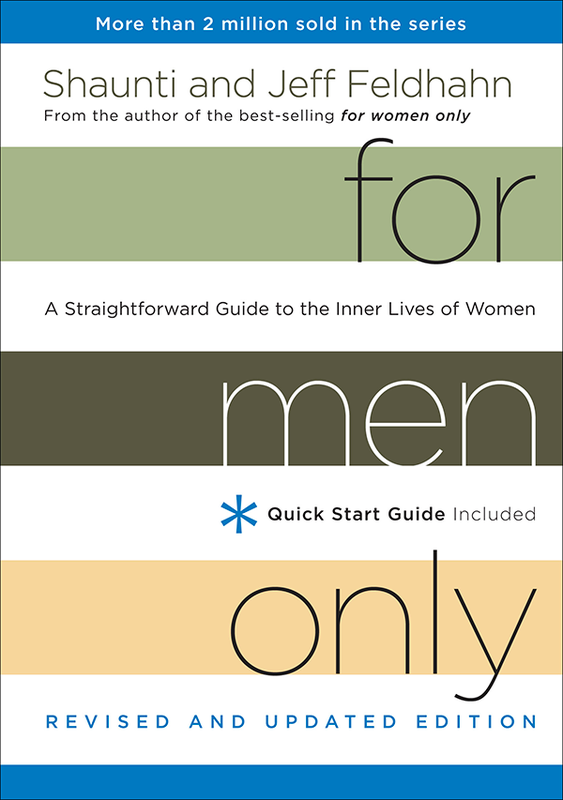 We have collected a number of books and websites that should be helpful to any reader who wants to further research or investigate the issues raised in For Men Only. We have not personally read every book listed here, but each one has been recommended to us by counselors, friends, and professionals working to help improve family relationships. The links and recommended reading below cover a variety of topics, with – at the moment – a particular focus on helping men, women and marriages understand and deal with the thought-life challenges of our sexualized culture. Because that topic requires more specialized research, I’m giving those resources a special section. View more books written by the author "Jeff Feldhahn".